The classic boater makes a fashion comeback. 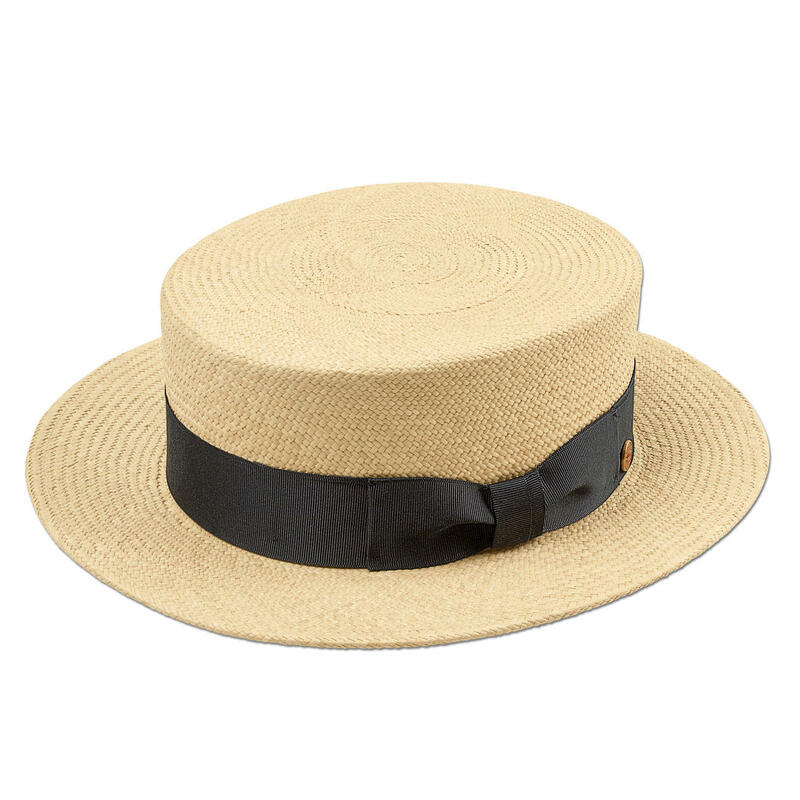 Wear the original by Mayser: Made of genuine Panama straw, plaited by hand in Ecuador. The legendary design with the straight brim, flat crown and black hatband had its heyday in the late 1920s. 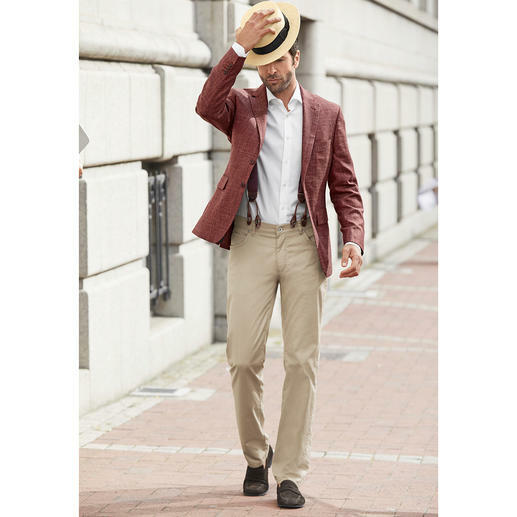 It has its origins in seafaring and is still worn today by the gondoliers in Venice – and now also by fashion-conscious men around the globe. However, today many are woven from coarse, brittle cheap straw all over the world. The genuine ones still come from Ecuador – where the best hats are only hand-plaited from the straw of the “Paja Toquilla”. Enormous skill and years of experience are needed to craft the exquisite, even plaiting of these unique pieces. Colour: Natural. 100% Panama straw. Black corded ribbon.